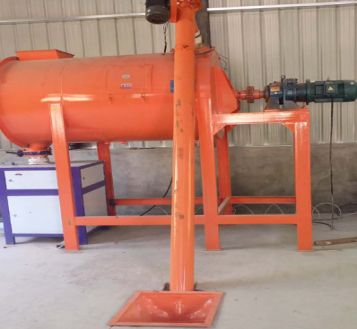 The mixer adopts horizontal design, with three-tier spiral ribbon auger, it may have three layers of materials flows.During the processing, mixing materials rapidly and evenly. 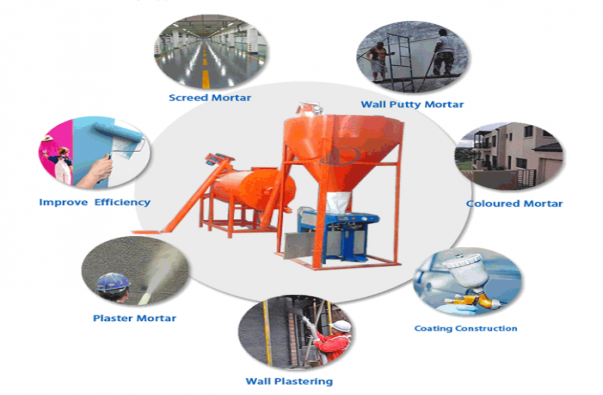 Widely applicable range: this device can meet the different performance requirements of dry mortar, such as plastering mortar, masonry mortar, insulation mortar, decoration mortar and so on all kinds of dry powder mortar. 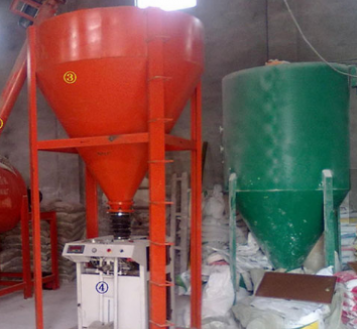 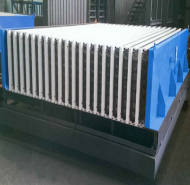 Cost-effective: used for dry mortar and decoration mortar production projects, with less investment, high efficiency, and avoid the idle and waste of resources which caused by excessive investment in equipment. 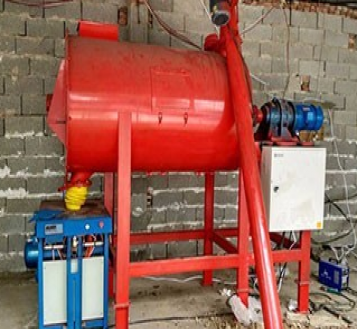 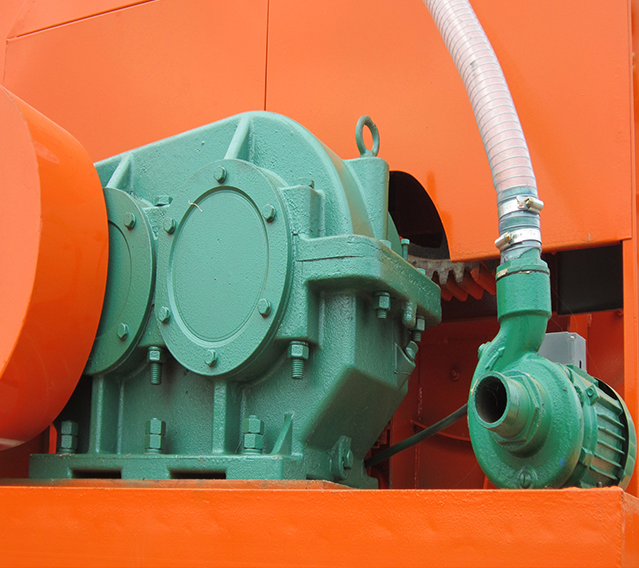 Simple and convenient operation: the advantages of this type dry mortar mixer is a small coverage, low energy consumption, easy operation,installed directly, per hour 6-20 tons, 1-3 workers operation. 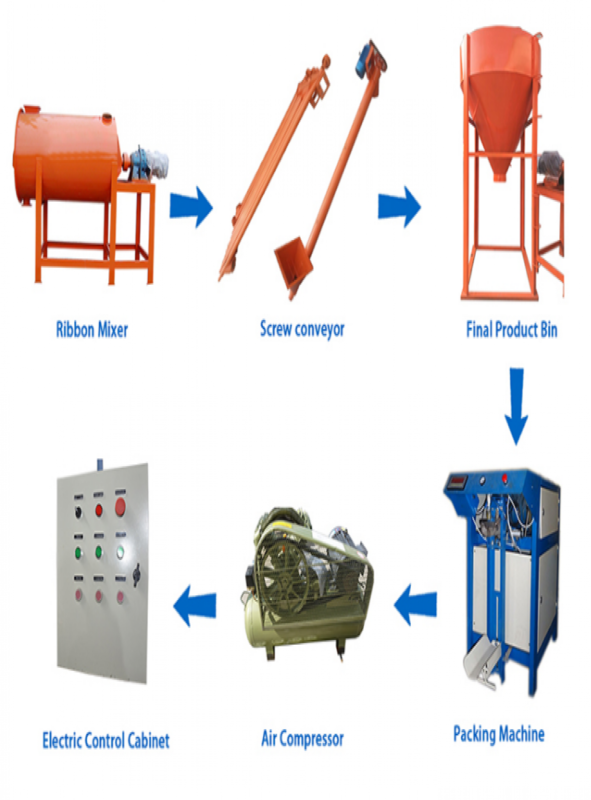 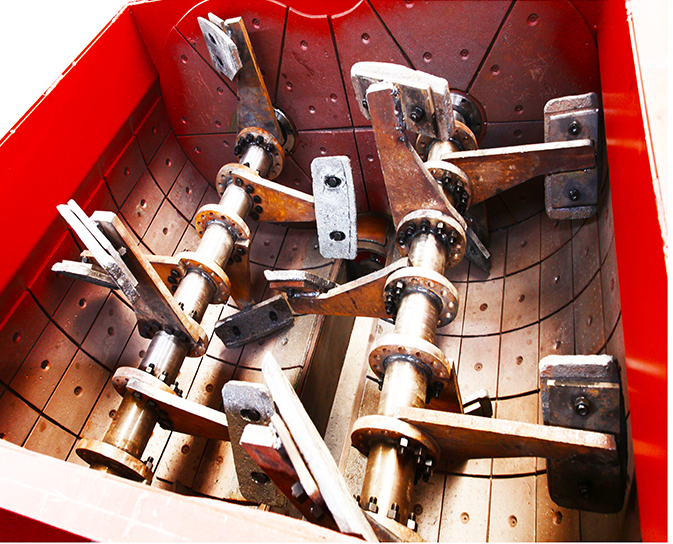 Firstly the materials feed into the mixing drum via the conveying pipe, then the materials will be mixed by the screw ribbon, the finished product is unloading into the storage hopper from the second conveying pipe, finally pack the products by the packing machine, then the production progress is finished. 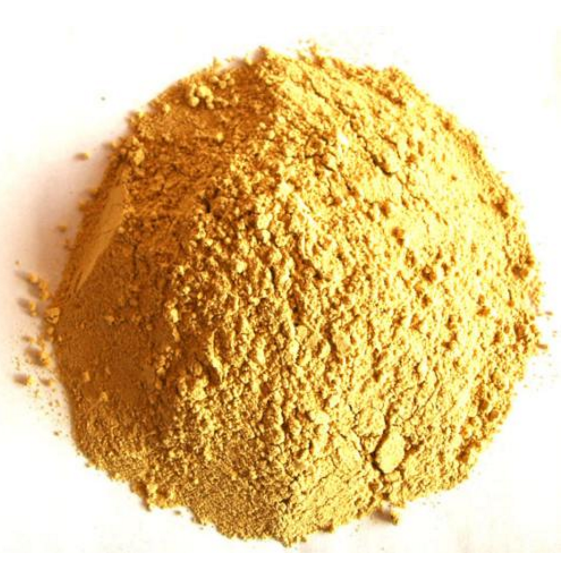 Dry mortar, insulation mortar, putty powder, masonry mortar, thin and smooth wall mortar, water proof mortar, plaster powder, wall plastering mortar, ceramic title adhensive mortar.